Remove the engine wiring harness guide (1) from the cylinder head. 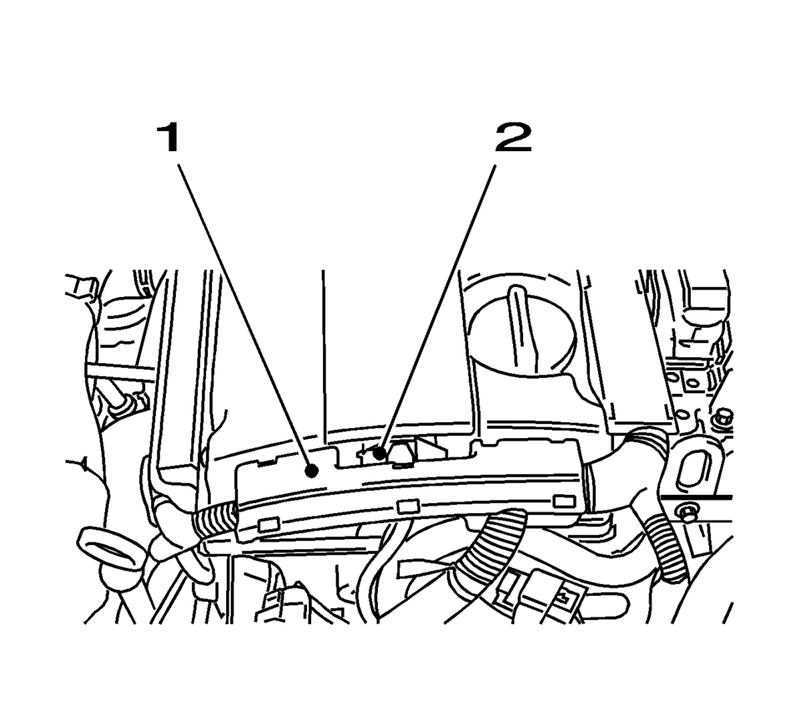 Disconnect the ignition coil electrical connector (2). Note the arrow on the cover. 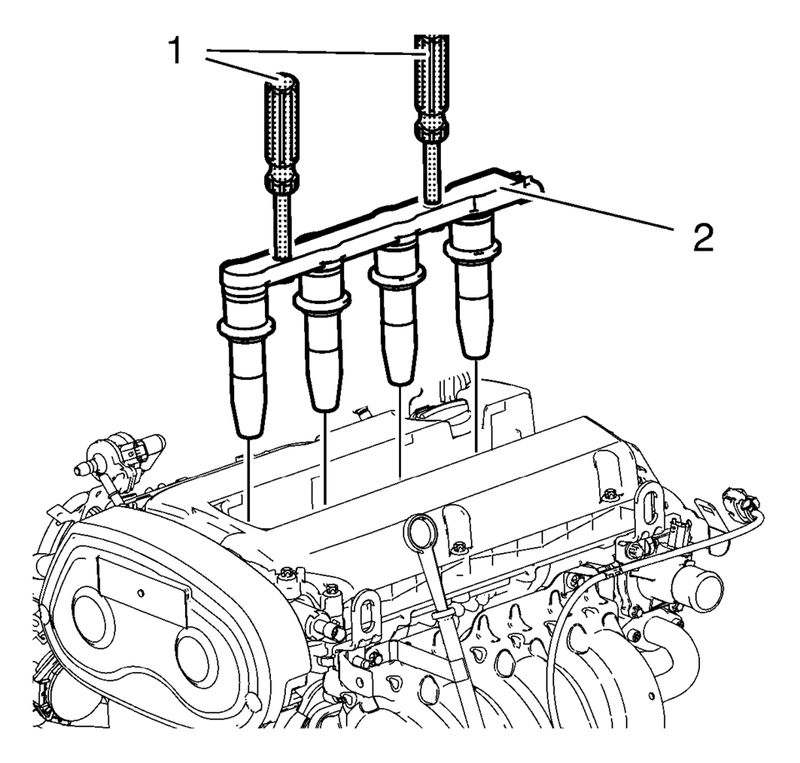 Remove the cover of the ignition coil in the direction of the arrow. Install the EN-6009 remover/installer (1). Remove the ignition coil (2). Remove the EN-6009 remover/installer (1). Install the ignition coil (2). Install the ignition coil cover in the opposite direction of the arrow. Connect the ignition coil electrical connector (2). Install the engine wiring harness guide (1) at the cylinder head.